Did you know that nearly half of all credit card fraud worldwide occurs in the United States? Considering that only 24% of credit card sales are made in the US, this number is surprisingly high. To combat fraud, the United States is currently transitioning to credit cards that use EMV technology, which will increase security and reduce fraud for all credit card transactions. The technology is slated to revolutionize the way you do business by allowing merchants to transition to a safer standard of payment processing. 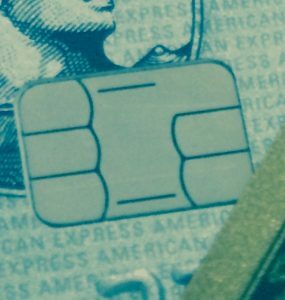 What exactly is EMV, you might ask? Taken from the name of its original developers Europay, Mastercard, and Visa, the technology includes a microchip embedded into a credit card that produces a one-time code each time it is used. A customer will still verify the transaction with either a signature, pin number or both. Small transactions, however, may not require either. Because a new code is produced with each transaction, the cardholder’s personal information remains secure. Here’s why. If a hacker does in fact steal information from a specific point of sale and replicates the card, the new card will be denied since the information on the original card changes with each new transaction. The stolen information is invalid—it was only valid with the cardholder at the time of purchase. Cards with magnetic stripes, on the other hand, can be duplicated easily with a card-reading device. This device skims card information allowing criminals to create counterfeit cards. Eighty countries have already adopted EMV chip technology. The United States will be one of the last countries to adopt this technology. By the end of 2015, the United States will have issued 70% of credit cards and 40% of debit cards as EMV cards. What this means for merchants is that your business will need to soon become EMV-compliant, if it isn’t already. The target date to acquire this technology will be October 1st of this year, at which point the Liability Shift starts. Merchants who are EMV-compliant will not be liable for losses due to card fraud; but if a merchant is not EMV-compliant, he or she will bear the cost of fraudulent activity. Prior to, banks were responsible for bearing the costs associated with card fraud. To ease the transition, which is estimated to take three to five years, credit and debit cards issued in the United States will include both microchips and magnetic stripes. The future of payment processing is upon us. Prepare your business to succeed by working with COCARD to transition to EMV technology today.